As a social impact organisation you have extremely significant data to share with your target audience and stakeholders. Most of the time, this data is your main resource to show how valuable your existence is as a social impact organisation. Your data can be a great starting point to tell a great story about your effort, impact and organisation. However, it is not enough on its own. If you want people to know about your data and notice it, you need to build a story around it and then visualize your story and share it properly. One of the best ways of visualizing your data and spread it in social media world is infographics. 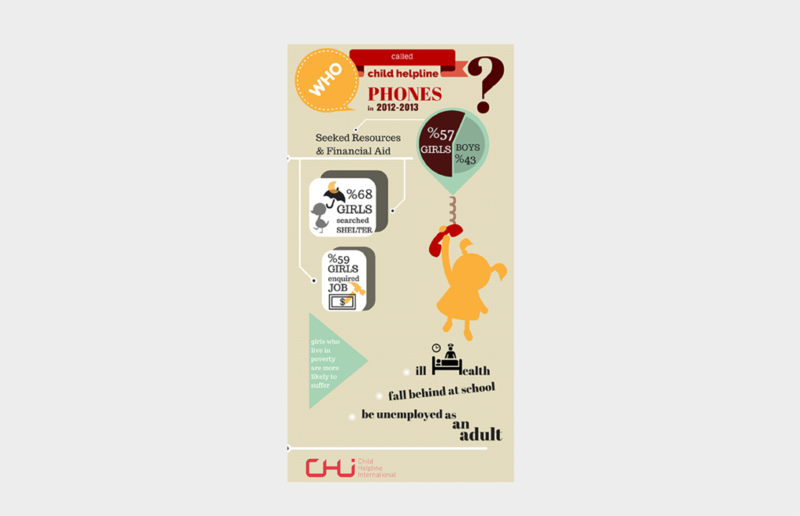 A well-designed infographic like the one above is the best communication tool one can use in such cases. No long and well-written publication can interact with an audience as widely, clearly and quickly as an infographic. Because the human visual system’s ability in seeing and absorbing patterns and trends would not only engage audiences but also captivate experiences. By visualizing your data, you can reach greater audiences. This starts with collecting the right and broad data concerning your cause. Make first a clear mind map which states all relative questions. Then, underline all necessary keywords and statistical information. They will be the cores of your message to deliver. Now, narrow down the chosen details of your mind map. You need to simplify this information in a way that would leave you with the clearest version of your research. This should include what you exactly want to say and what your audience should acknowledge immediately. Avoid overwhelming your audience with too much information. Use only the ones that can create an action for your audience. Always remember that, visualisation is a significant part of telling your story. No matter you have a rich data and great story, if you visualise it poorly. Every visual choice you make will either support your data and communicate it to a wider audience or reduce its value. With all the vital details collected, you can start with your infographics. Decide on the mood your infographics should display. Accordingly, choose a color scheme. Keep in mind that there are typically three main colors in well-designed infographics. Select two complementary fonts to use; one for headlines and one for body text. Make sure your visual hierarchy throughout the artwork is as clear and set as your message. Use one main illustration that will attract your target audience at the first sight. It will be the central point of your infographics. Avoid using too many illustrations. It can distract your audience and make it hard to concentrate on your data. © Bumbuku Creatives 2017. All rights reserved.